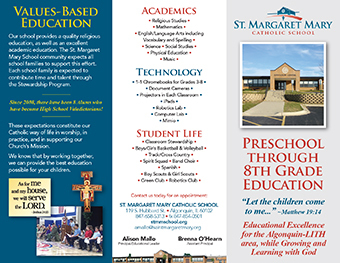 We are committed to Catholic education, developing faith life, building community and Christian service. We endeavor to create a school environment that fosters respect for each person, develops healthy self-concept, and is conducive to learning. We offer a curriculum that develops the total person through science, mathematics, social studies, language arts, the arts and religious studies.